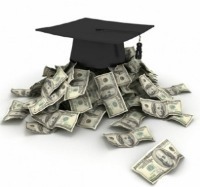 Most college students take out at least a minimal amount of government students loans to complete their degree. There are two types of direct Federal loans available: subsidized and unsubsidized. For subsidized loans, the government waives interest rates while you continue to attend college. Unsubsidized loans will accumulate interest while you attend; however, it is your decision if you would like to pay the interest or let it accumulate during this period. You can qualify to receive both subsidized and unsubsidized loans, but if you are a dependent student you will not qualify for as much unsubsidized loans as a independent student (learn more about dependent and independent status below). Government student loans do not require credit checks. As far as I know, you could of claimed bankruptcy, be $50,000 in debt, have a foreclosed house and still qualify for the maximum payout. The amount of Government student loans you are eligible for depends on your dependence status: independent and dependent students receive varying amounts of aid. Independent Student -- anyone over the age of 25 is an independent student. If you are between 18 and 25, you can still be considered independent if you are married or have children. Dependent Student -- Someone who does not meet the requirements above to be considered as independent, is considered a dependent student. Dependent students receive the same amount of subsidized loans as an independent, but do not qualify for nearly as much in unsubsidized loans; additionally, you and your family must demonstrate financial 'need' for subsidized loans, whereas anyone can qualify for unsubsidized loans. Financial 'need' is determined after completing the FAFSA. There are numerous limitations to how much you can borrow per year as well as the total amount you can borrow, regardless of how much you need for college. 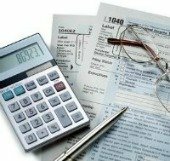 You can find a chart at finaid.org; the information is a little dated, but the limitations are still the same today. If you use Government student loans as the primary way to fund your college education, keep an eye on your aggregate maximum (the total amount you can borrow), which at this time is $57,500 for independent students and $31,000 for dependents. For most students, taking the minimum amount of student loans to pay for college is probably the best course of action. Keep in mind that you cannot get out of Government student loans; if you default on payments, they will clean out your bank account, garnish your paychecks, and even your tax refund. There is a fine line here...student housing for example, could mean using loan refunds to fund a down payment on a house. College related technology could mean a brand new $3,000 super computer to some people. In reality, the Government doesn't investigate what you spend the refunds on -- so use your own discretion. The Good: John takes out only as much money as he needs for college, plus $400 a semester to cover his books, bus fees, and purchase school supplies. He ends up owing a minimal amount after graduation and pay $120 a month for the next 8 years. The Bad: Amy takes out the maximum payout possible, even though she receives enough scholarships and Federal grants to cover almost all of her tuition. By the time she graduates, she owes over $50,000 in loans and interest. She has a $500 a month payment for the next 20 years. The Ugly: Like Amy, Bruce takes out the full amount possible in Government student loans; however, Bruce likes to pay his credit card bills, rent, and vacations with student loans. He likes the money so much that he drops many classes shortly after they start so he can receive larger refunds. Bruce hits his maximum limit of $57,500 before even close to graduating and has no other means to pay for the rest of his education. Know how much you have borrowed and the interest accrued at all times. Once you've received your first loan disbursement, you can log into the National Student Loan Data System (NSLDS) to find out all of your personal information and loan history -- no registration required.